Fitness at Fort Wayne Country Club can allow you to work on your own fitness plan so you can be in control of your own results. Whether you would like to lose weight, or get in shape, or just increase your mobility, strength, or endurance, Fort Wayne Country Club's fitness staff can get you moving in the right direction! We have partnered with The WorXout to facilitate our fitness program and allow us to offer personalized programs designed just for you. We offer fitness programs in a group environment or personalized fitness training. The fitness equipment in the Fort Wayne Country Club Tennis & Fitness Center is ready and waiting for you! Our Bravo Functional Trainer is just the thing to get your golf swing or tennis swing in action. This machine allows limitless functional movements in a flexible, easy-to-use machine. Its progressive stabilization system allows for faster, safer strength development. 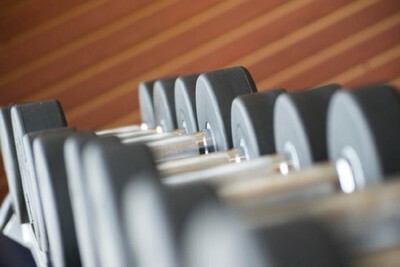 Get fit with our free weights and treadmills in a relaxed setting overlooking the tennis courts. Contact our fitness professional, Erin Scheele, at trainer@ftwaynecc.org to get started today!